The “F” fly is a very simple fly as it is tied with tying thread and between one and three croupions, depending on the size of hook, usually 12, 14, 16 or 18. Thread colour can be black or any other dark colour including red, olive, green or brown, and pink for his pink version for grayling. Tie a very slim body – Marjan uses size six thread, except for size 18 hooks when he uses size eight – and then take the appropriate number of feathers depending on hook size, one or two for small hooks, three or four for the largest, and density. Pinch them together with your fingers and cut the thick ends neatly and cleanly with sharp scissors. Yes, cut them before tying them on top of the hook shank and complete with a neat whip finish. The other end of the feathers can be trimmed to length, directly over the bend of the hook for slow rivers and chalk streams, and two or three millimetres longer for faster rivers. Cut them on the long side rather than too short. The head can be finished with a drop of varnish. Leave to dry and then varnish again. In his book, Leon Links shows a slightly different way of tying the “F” fly which is not the way of its inventor. 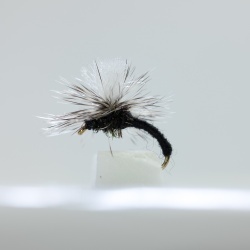 CDC flies can be real ‘killers’ and I have fished “F” flies for a number of years with great success. 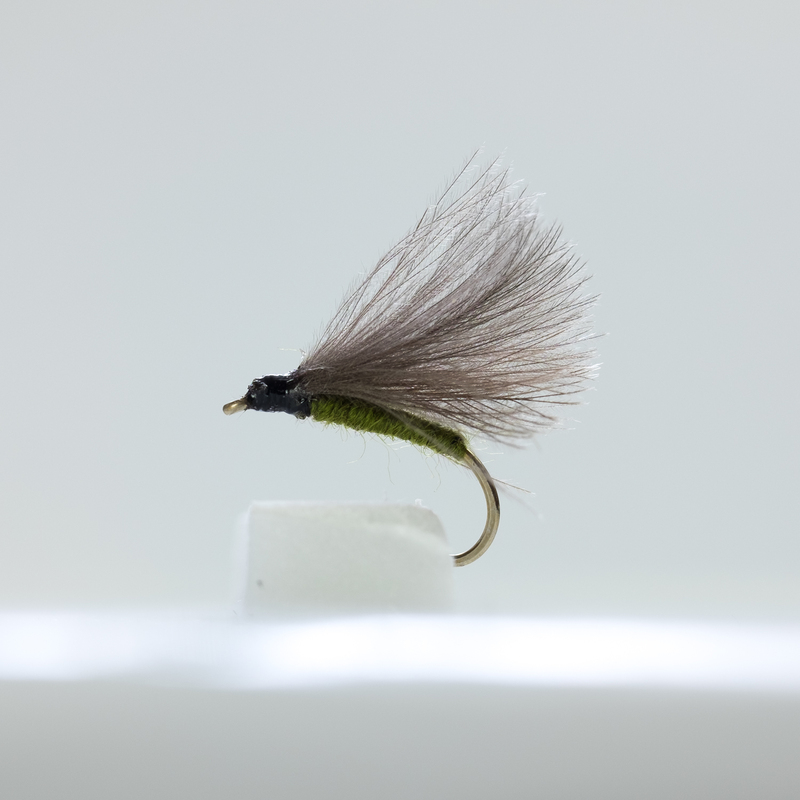 As with many CDC flies, some last much longer than others. I think that it depends on how much of a mauling they get in a trout’s mouth. A fly that is lightly hooked in the scissors will suffer less than one inside a fish’s mouth. At the moment I would need convincing that this is the only dry fly that anyone would need, but it is without doubt a ‘must have’ fly in any fisherman’s fly box.